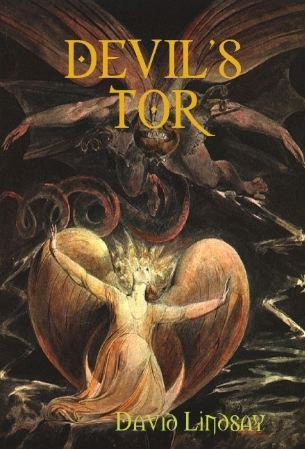 Pulisher's ad for Devil's Tor, from The Times Literary Supplement, April 21st 1932. The woodcut (or linocut) is by William Kermode. "To Saltfleet, however, it occurred that he might be dead already. 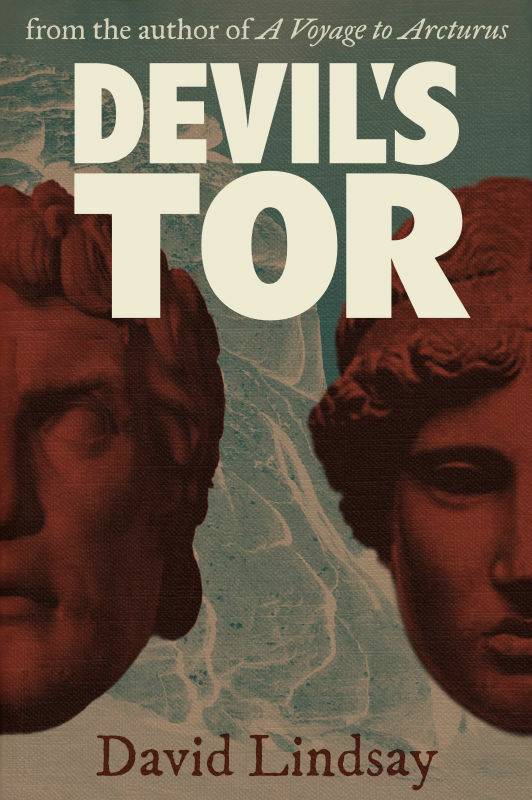 He found these experiences not to consort very well with what he had hitherto known of life..."
— Devil's Tor, ch. 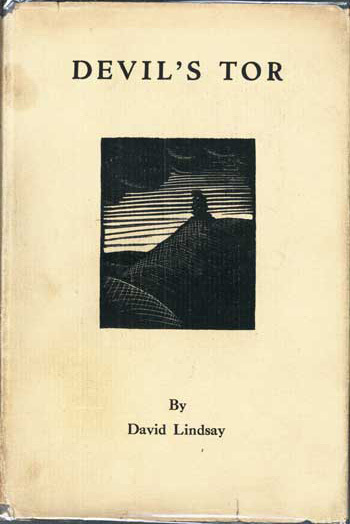 XXXIII, "The Far Glimpse"
David Lindsay began writing a book called The Ancient Tragedy some time in 1922, giving up on it in June, then starting again in July, once again in October, and yet again in June 1923, finally finishing it in October of that year. 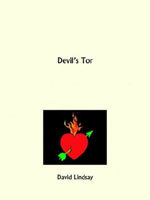 The book was submitted to a series of publishers but refused by each one. 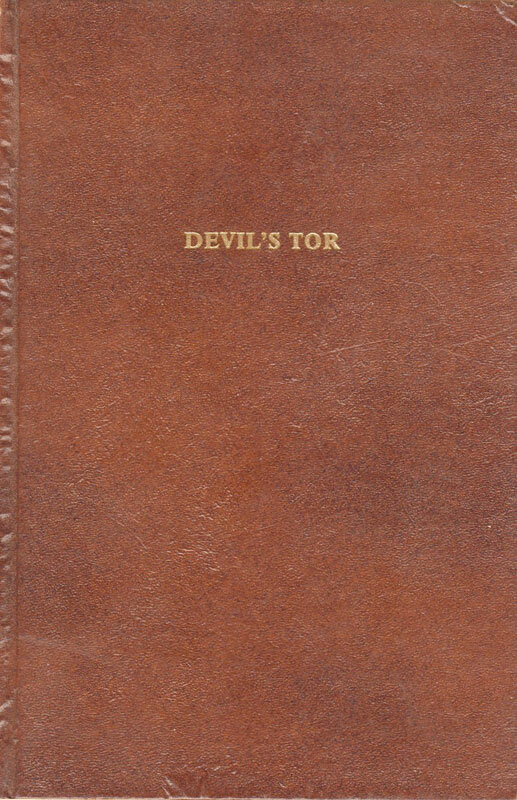 It subsequently disappeared, but is generally accepted to be a close precursor to Devil's Tor, which Lindsay began work on in 1928, in his new home in Ferring (near Worthing in Sussex). 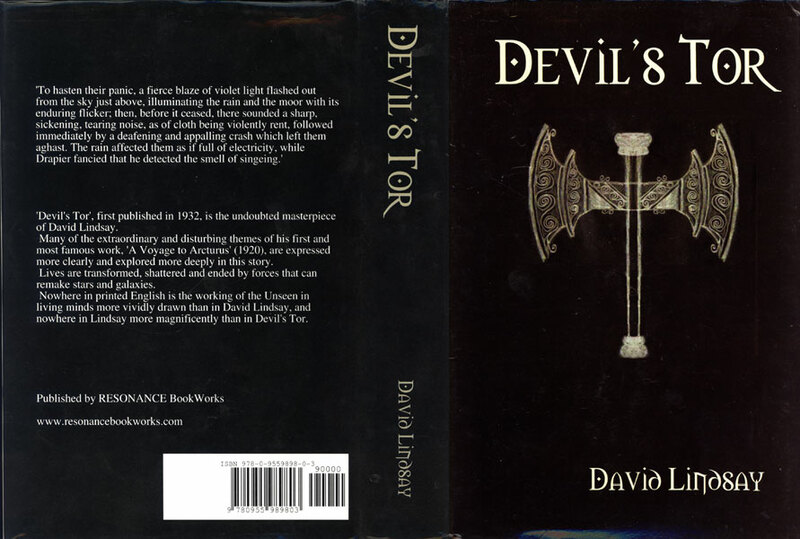 Devil's Tor's publication was in part thanks to the efforts of Lindsay's literary friends E H Visiak and L H Myers, who wooed the publishers with copies of A Voyage to Arcturus and The Haunted Woman before presenting this latest manuscript. It was sent to Putnam in November 1931, accepted the following January, and published the same year. Putnam's were initially enthusiastic, calling it a "classic" with "a long life before it". But, after a few months, when it had sold only 650 copies, their enthusiasm muted somewhat. 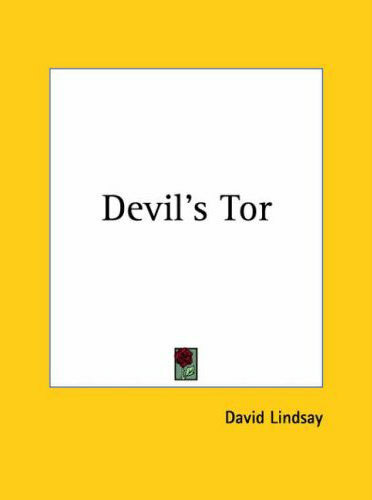 Lindsay's most uncompromising, difficult book (he called it his "monster"), starts with a meteor cracking open a rock known as Devil's Tor and revealing the entrance to the tomb of a primeval goddess. The tomb is soon sealed again by an earthquake, but not before a mysterious stone is removed, whose mystical twin half has recently been given into the hands of Ingrid Fleming. The stones contain the prophecy of a saviour-figure, to be born from the avatar of the primeval goddess. Joining the stones brings this about.